It is 1 minute on foot from Ginza 4th crossing and Tokyo metro Ginza Station. It faced Ginza Chuo Dori Street, and a beautiful dental clinic. General dentistry,Dental Implant,Laser dentistry,tooth whitening,cosmetic dentistry etc. Please consult about the worry about teeth. according to the influence of the earthquake. Please inquire of the clinic by the telephone. Dental clinic that can want to commute ･･･ Please let me hear the worry about the mouth. It is busy and there no time to go to the dental clinic. Therefore, I do not want to go if possible though it is necessary to go to the dental clinic. As for going to our dental clinic, there are such a lot of patients. We want to make appropriate treatment received to such a patient. Therefore, the weekday and the weekend and holiday are treated from 8 AM to 9 PM. We hope you will receive treatment not painful as much as possible with the mind and the body relaxed to you. The director and the staff who values patient's feelings in the clinic of the atmosphere that is warmly and done in a relaxed manner treat you. Even if the body gives a sick signal, the person might be inconsiderate in it. Do not you leave it because it doesn't understand where I may consult even if it might be anxious in the mouth? Please come to consult the dental clinic if please anxious in only trifling thing so that such a signal should not become a big trouble. General dentistry,Dental Implant,Laser dentistry,tooth whitening,cosmetic dentistry etc. In the latest medical equipment and certain Medical Technology, the worry about teeth is politely treated. The clinic is opening on Sunday and holiday. >>This clinic received coverage, and published article and interview, etc. were put togethe. 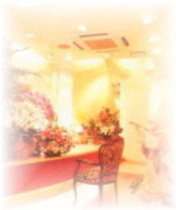 >>The information site of cosmetic dentistry was established. ©2006 銀座池渕歯科, All rights Reserved.